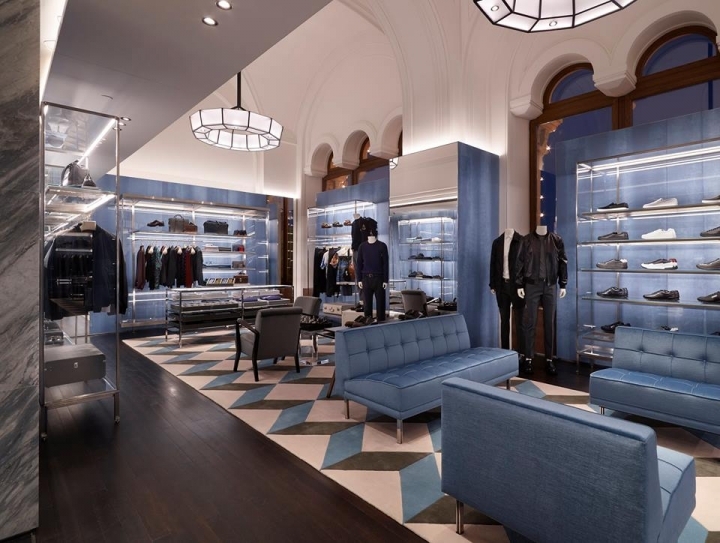 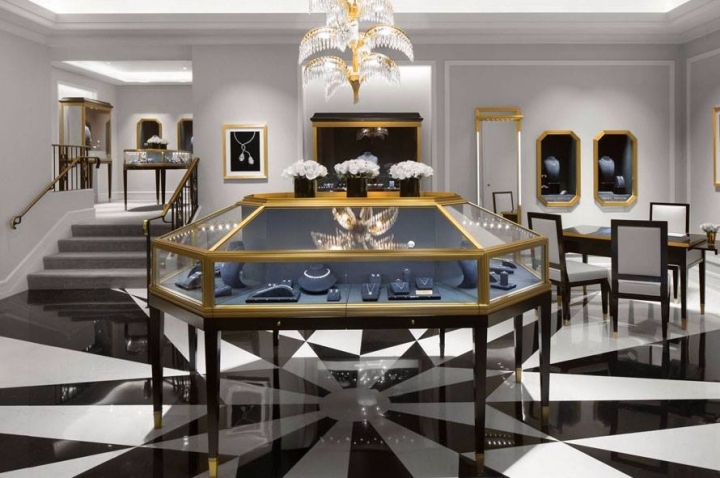 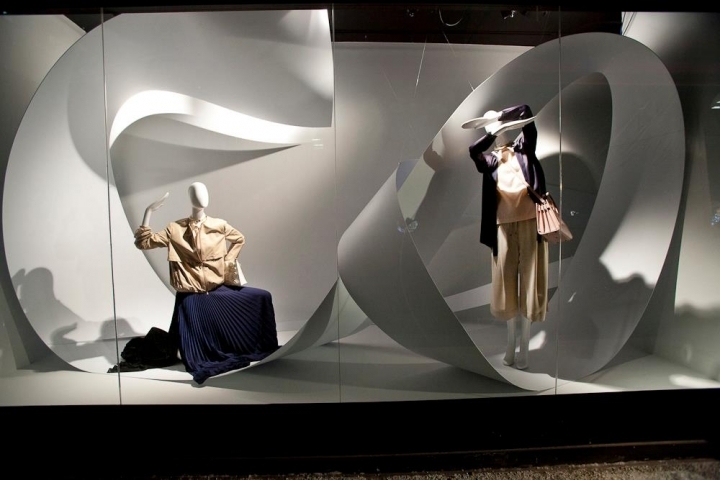 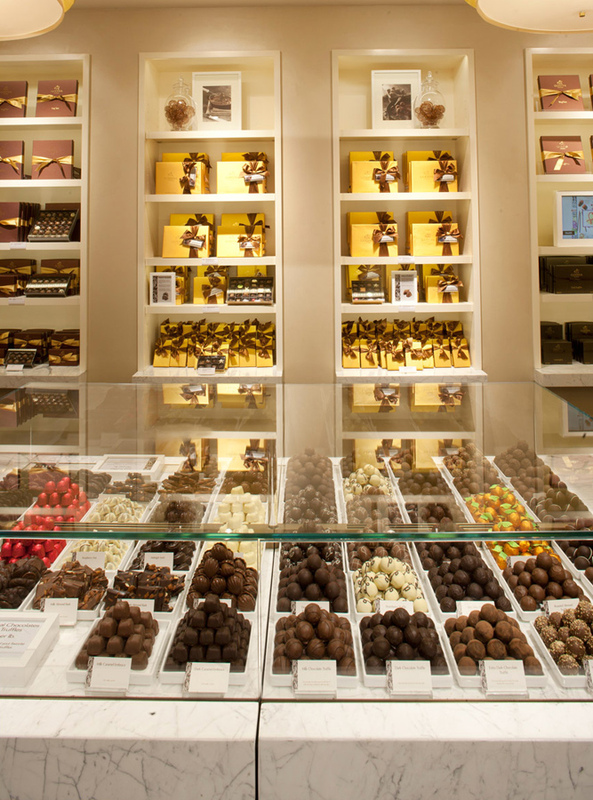 Marking Godiva’s return to 5th Ave., this flagship is a delicious vision of modern opulence. 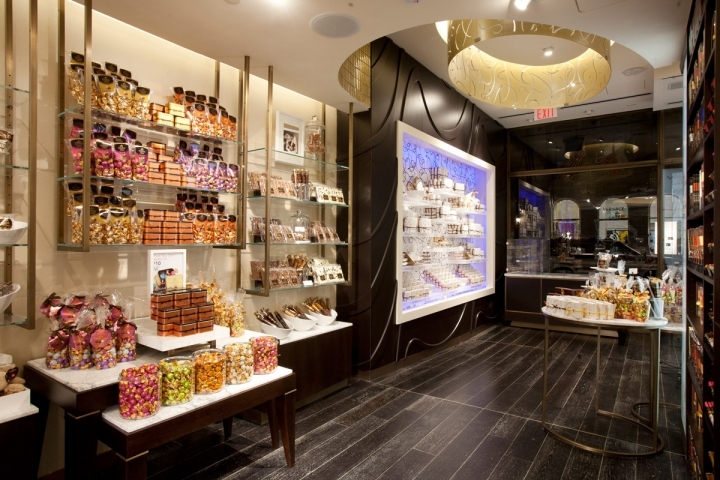 Culinary cues beckon: bright cream and chocolate hues are rendered in rich material such as warm wood and Carrera marble. 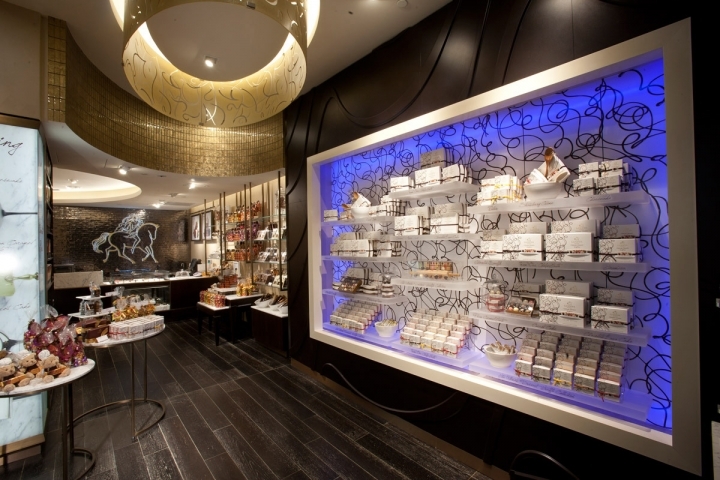 Inside, golden light and chocolate-swirl motifs suggest life inside a box of Godiva. 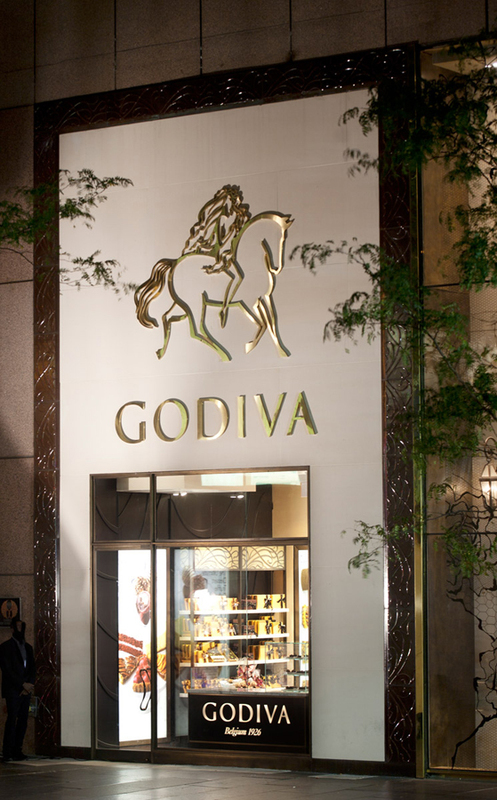 A backlit Lady Godiva emblem overlooks the cash wrap, an homage to the brand’s longstanding tradition.